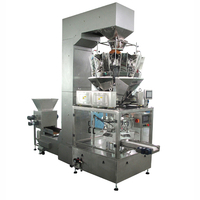 This is a rotary doypack machine, installed with multi-head weigher. 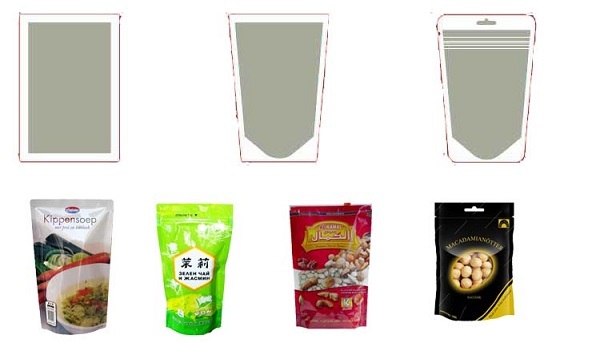 it is applicable for free flowing small granule such as pasta, chips, snack, candy, peanut, biscuit, seed, sweets, etc into premade pouch, zipper pouch etc.. 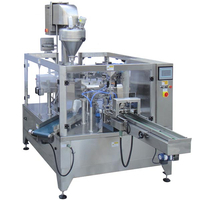 This machine is very popular used in snack food,confectionery, daily use product area. Capacity for standard pouch: max 60bags/minute. 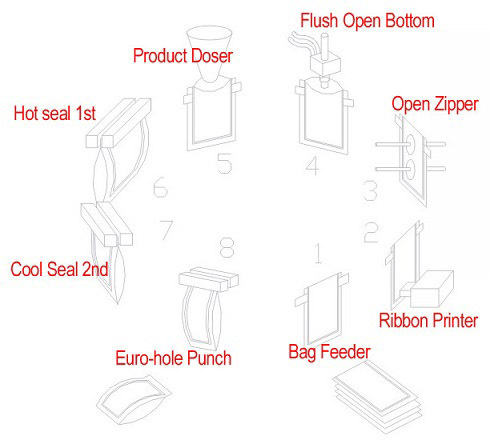 For zipper pouch: max 40bags/minute. 1: Easy to operate, adopt advanced PLC from Germany Siemens, mate with touch screen and electric control system, the man-machine interface is friendly. 2: Frequency conversion adjusts the speed: This machine uses frequency conversion equipment, can be adjusted within the range according to the needs of reality in production. 3: Automatic checking: No pouch or pouch open error, no fill, no seal. The bag can be used again, avoid wasting packing materials and raw materials. 4: Safety device: Machine stop at abnormal air pressure, heater disconnection alarm. 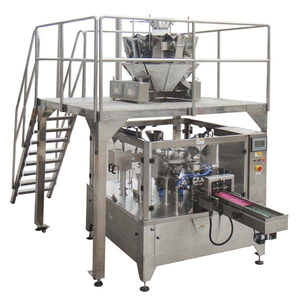 5: Horizontal conveyer style to giving bag: It can put on more bags on the bag storage and have a low requirement about the quality of bags. 6: It can adjust the clips of the six working position at the same time, just need adjust one of the screw which is control the wide size of bag, then the all clips will adjust to the same width. 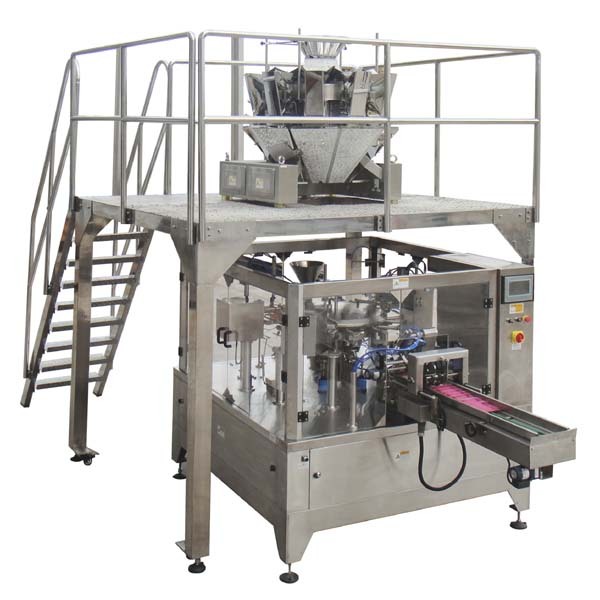 It can save the time and suitable for more different size of bags, especially suitable for the customer who often adjust the wide size of bag. 7: Use the plastic bearing, don't need put on oil, less pollution. 8: Use no oil vacuum pump, avoid polluting the environment in the production. 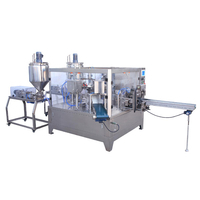 11: With different feeders changed to pack solid, liquid, thick liquid, powder and so on. 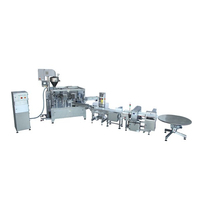 12: The packing bag suits in extensive range, suit for multi-layer compound, monolayer PE, PP and so on Preformed bag made by film and paper.